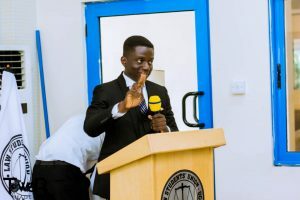 The embattled 52nd Delegates Congress of the National Union of Ghana Students (NUGS) came off last weekend at the Methodist University in Accra despite boycott by some universities. The mother union of Ghana students has come under severe controversies recently which have degenerated to the emergence of factions. The first faction had already held its congress whiles another factions also had theirs last weekend. This state of affairs has forced institutions including the University of Ghana (UG), the University of Cape Coast (UCC) and the Nyankpala campus of the Development for Development Studies (UDS) to temporarily boycott activities of the union. 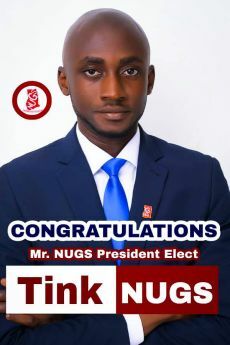 Despite the dispute, Mr. Richmond Asare Tinkaro, 25, from the University of Ghana was elected President of the Union. 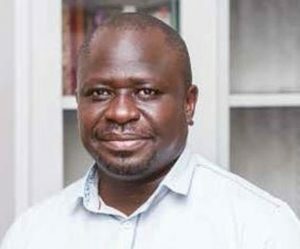 He polled 472 votes beating his closest contender, Mr. Clifford Sarpong who managed 102 votes. Mr. Pious Yeboah Nimako was elected General Secretary while Shadrack Owusu emerged as Coordinating Secretary. Michael Ofori won the Treasurer Position, Emmanuel K. Otchere was elected Press and Information Secretary, Vida Opoku Agyapong won the Women’s Comissioner position, Solomon Cudjoe won Education and Democratisization, Eric Guggisberg Asante is the Financial Controller elect, Eunice Garibah is the International Relations Secretary elect and Eric Osei Akoto is the new Programs and Projects Secretary. The election saw heated agitations at various points. It took the resilience of the Security personnel on the grounds to restore normalcy to the electoral process. 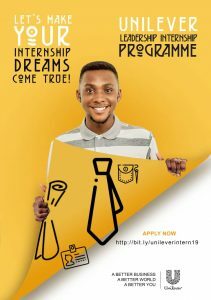 Mr. Richmond Tinkaro will be taking over from Elijah Ohene Assumeng and the Union is expected to communicate arrangements for the handing over ceremony in due course.